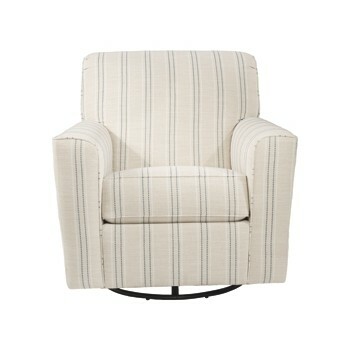 This swivel chair takes style and comfort full circle. Muted striped upholstery is casually cool and beautifully on trend. Smooth-gliding 360-degree swivel lets you go with the flow.